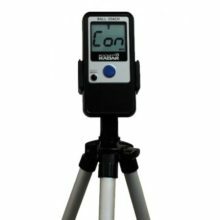 The Stalker Sport 2 Radar Gun is the Perfect Radar Gun For Baseball. 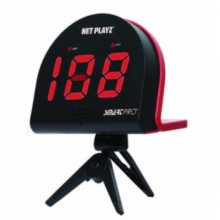 It has been designed to specifically measure pitching speeds and to time base runners. The Sport 2 by Stalker simultaneously displays release and plate speeds as well as displaying the speed in whole units or tenths. 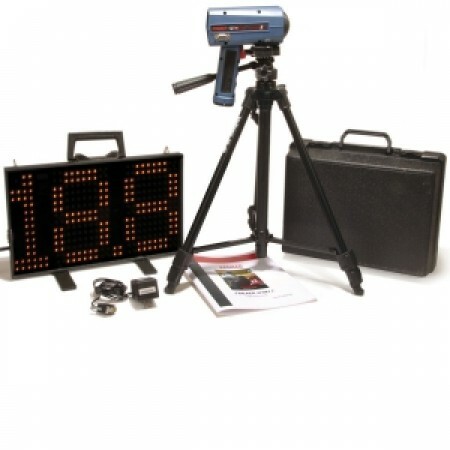 The Stalker Sport 2 Radar Gun is now paired with the newest speed signs built with the latest technology using high – intensity LED digits with no moving parts to break or wear out. 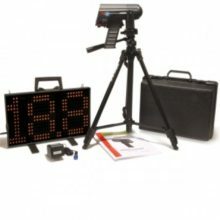 Designed specifically to measure pitching speeds and time base runners. Improved (higher) release speed measurement. Simultaneously displays release and plate speeds. Uses common AA NiMh rechargeable batteries. Rugged polymer case weighs 1.75lbs. including batteries. In-Gun-Battery wall charger is included. 3 – Hour Battery Life – Uses common AA NiMh batteries with low charge indication. Multiple units of measure – MPH and KM/H. Default settings are optimized for measuring pitch speeds – User presses the MENU key to customize the settings. Very impressed with the stabilty of the tripod.. I set this up behind home plate and pick up everything from fastballs, offspeeds and exit velocities. Incredible gun!